Join us the 3rd Saturday every month at Interlochen Public Library. 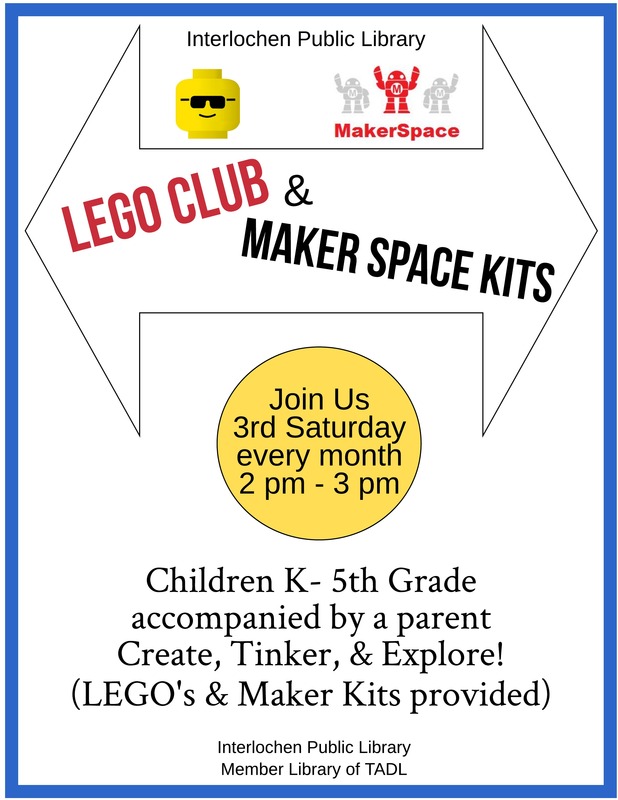 Children K – 5th grade accompanied by a parent are invited to enjoy LEGOs and Maker Space Kits, from 2:00 pm to 3:00 pm. Traditional LEGO’s, giant LEGO’s, and Maker Space Kits will be provided. LEGO models that are created will be displayed at the Library for a week. Bring your imagination…Create, Tinker, & Explore!